Pool & Cocktail Bar, Horse Riding Clubs, Accommodation. 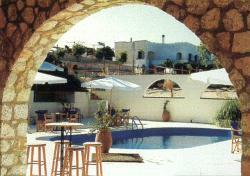 Zefiros is located at Tersanas, on the beautiful Greek island of Crete, in the region of Akrotiri . Tersanas is only 20 minutes from the main regional town of Chania. If you are planning to stay locally or in Chania, you are guaranteed a warm and friendly welcome from this family owned and run horse riding centre and restaurant. Visit our Restaurant - Based only 300 metres from Tersanas beach, enjoy a lunchtime or evening meal at this peaceful resort. 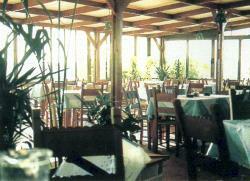 Choose from an extensive selection of traditional Greek and International cuisine. Bring the family and unwind by watching the world go by. The splendid view of the bay from the restaurant is complemented by overlooking the Zefiros Pool & Cocktail Bar. Enjoy a Cocktail at our Pool Bar - The splendid architecture and lighting complement our cocktail bar - the perfect place to relax and enjoy a swim. Do you want accommodation? Contact us for information about our rooms for rent. Horse Riding Centre - Quality Italian and Carmargue horses and ponies are available for children and adults of all abilities. 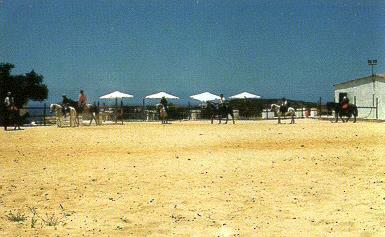 Our centre has three sand-based arenas for school riding. One 12.5m circular arena is perfect for beginners and children. One 30m x 15m horse riding arena is good for dressage and schooling. 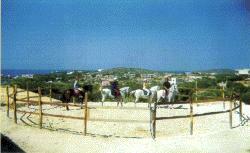 One 2500 square metre horse riding arena is ideal for free-style riding. Horse Riding Tours - If you fancy taking a longer ride, we have four standard trails that allow you to explore the beauty of Akrotiri region. 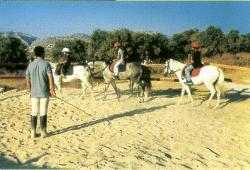 Tour 1 - Take the nature trail past the lake between Tersanas and Stavros on an approximately 1-hour horse riding tour. Tour 2 - Visit Stavros beach where scenes from the famous "Zorba the Greek" movie were filmed. Approximately one hour horse ride. Tour 3 - The sunset tour takes approximately an hour and a half taking you to the west coast where the beauty of the evening sunset is a climax of the trip. Tour 4 - Visit the famous monasteries of Agia Triada and then on to Gouverneto where entry is free between 0800 and 1300. This tour takes approximately half-a-day and includes a snack and soft drinks. Are you looking for jobs working with horses? If you are experienced with horses and would like to join our horse riding team, please contact us. 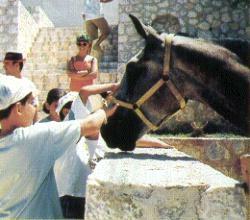 Accommodation at the horse riding club would be provided. Please contact us for more details on our restaurant, pool, accommodation, bar and horse riding centre. 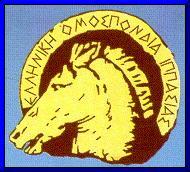 Or write to Mr. Petroulakis, Zefiros, Tersanas, Chania, Akrotiri, Crete, Greece. Restaurant, pool, accommodation, bar and horse riding centre jobs working with horses, crete, greece, vacations, holidays, greek resorts.